Riyad Mahrez has admitted that he regrets the way he handled his disappointment over his failed move to Manchester City in January. The Leicester City star, who won the PFA Player's Player of the Year Award in the Foxes' title-winning season, was the subject of more than one bid from Pep Guardiola's side, who reportedly offered £60m on transfer deadline day two months ago. ​Leicester refused to let the Algerian go, prompting him to absent himself from the club, missing their training sessions, as well as two matches, in what was seen as a personal strike. 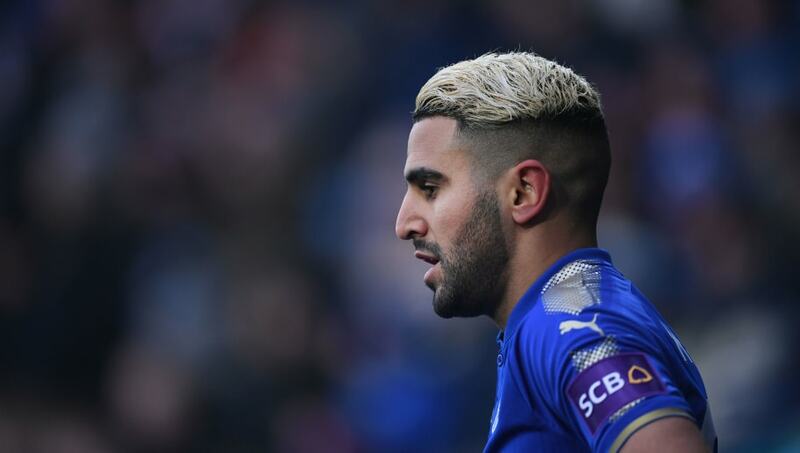 Mahrez has denied going on strike but has told Sky Sports News that he regrets the way he behaved after being made to remain at the King Power Stadium. ​"I was away from here because I needed some time to think, it was a difficult situation," he explained. "​Manchester City is a good move for everyone but it is the past. It is behind me. If we start talking about this it's like coming back to the transfer window and now I'm moving forward, trying to give my best for the team. "You'll always have regrets but at that time I thought it was the best thing to do. "It was difficult, I've always been in contact with the club. The club handled it very well. When the team-mates and the club were behind me it was okay, it was very easy to come back here." The winger has insisted that he remains committed to Leicester ever since his return to action, and has said that his future will be discussed in the summer. "In football, players come, players leave. I'm not saying I'm coming or going," he continued. "We always talk between me and the club, everything is good, so we will see in the summer if things come. At the moment, I'm a Leicester player."